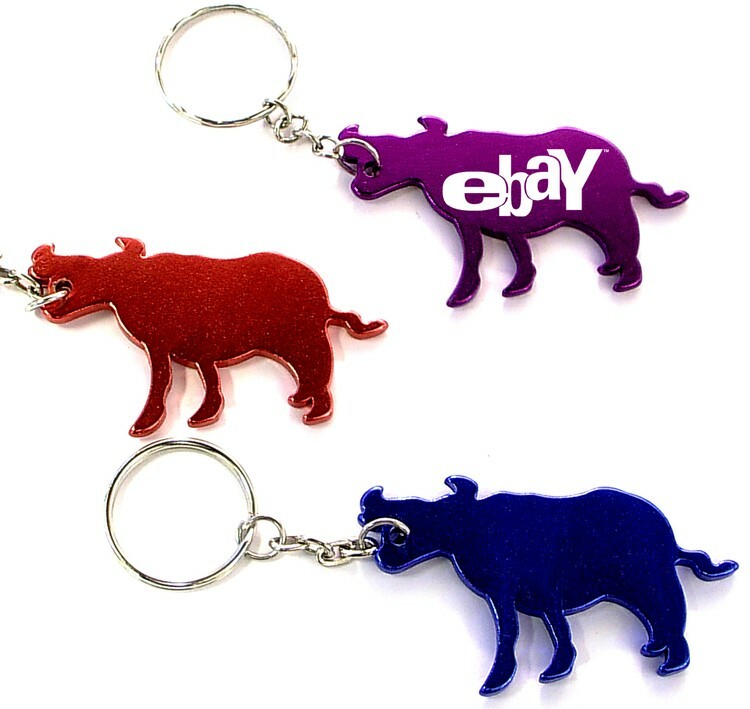 Cow / Bull shape aluminum bottle opener with split key ring. A great gift of beer bottle and pop bottle key holder! Solid aluminum construction with metallic color finish. A Chinese Animal Zodiac. Plain and simple. Ideal imprint area for logo. Ideal for key holder, key tag, key chain, key ring, travel and self promos. Free upgrade to laser engraving.